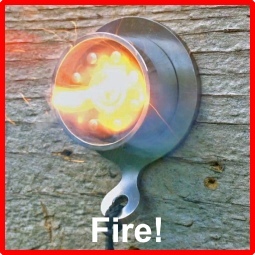 CAPS - which are the best to use? In our tests, Super Disc ring caps manufactured in Italy by Edison Giocattoli are consistently the best performing and loudest. 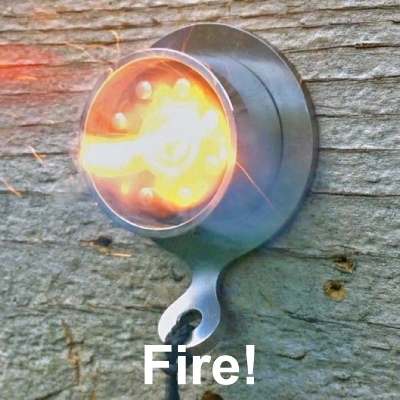 Sure Shot ring caps, manufactured in China, can generally be found at cheaper prices and give a good flash and almost as loud a bang. Wickes branded ring caps, in our experience, are not worth buying for this application . 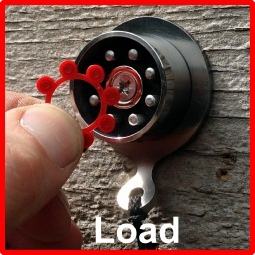 Cap rings can be readily bought online and in many good High Street toy shops. Makes sure you keep your caps dry for the best performance - an old biscuit tin is a good place to store them. CLEANING - an old toothbrush is useful for removing a build up of cap residue. 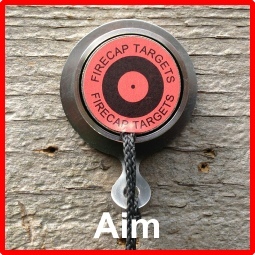 SHOOTING - make sure that your FireCap target is faced square to your line of fire. 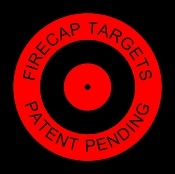 Never shoot at your FireCap target unless the target plate is in place or you may cause permanent damage to it. 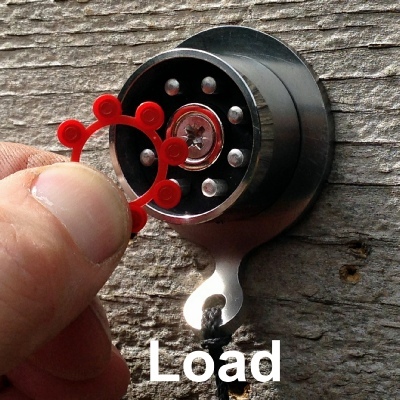 LOADING - press the ball of your finger or thumb on the edge of the target plate to facilitate it’s easy removal. Press the ring firmly onto the firing pins and then replace the target plate using firm pressure to seat it against the ring cap. It will then be held in place by the magnet. 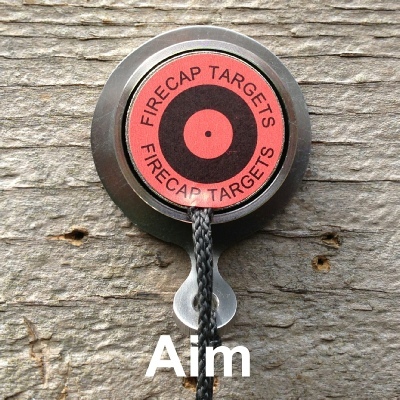 TARGET STICKERS - your FireCap target is supplied with some replaceable easy-peel target stickers to provide a clear aiming point and accurately record the point of impact. Remember to remove any stickers after you shooting session as prolonged exposure to sunlight or moisture with make them more difficult to remove later.